To celebrate our tenth consecutive performance at Summer Camp Music Festival in Chillicothe IL, Future Rock would like to give back to the festival and fans that means so much to us. So, FR has decided to add an additional set, and perform/share some music that we absolutely love. …as Future Rock performs the music of Daft Punk for a very special LATE NIGHT SET during Summer Camp Music Festival 2015. Recommendation = BRING YOUR HELMETS. We haven’t played a set like this since Camp Bisco in 2007. And there’s a whole bunch of new Daft Punk to incorporate. Future Rock will perform at ColorDance Festival on Friday, May 15, 2015 in Athens, OH. ColorDance is a unique festival that brings together a vast array of music, art, and people for a spiritually renewing experience. One staple element of the festival is the 'color play' which is a physical representation of the major theme, UNITY in DIVERSITY. 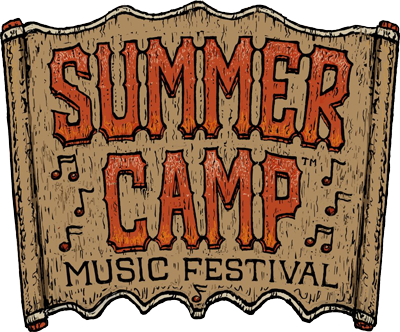 Future Rock will perform at the 15th annual Summer Camp Music Festival taking place May 22-24, 2015 at Three Sisters Park in Chillicothe, IL. The festival includes 3 full days of fun, camping and music with over 75 bands on 7 stages. This will also mark the 10th consecutive appearance by Future Rock at the festival, and as a result, we've got a few tricks up our sleeve to make this one a bit memorable. Tickets are available online through the official festival web site. For more information, visit www.summercampfestival.com and find them on Facebook at www.facebook.com/summercampfestival. 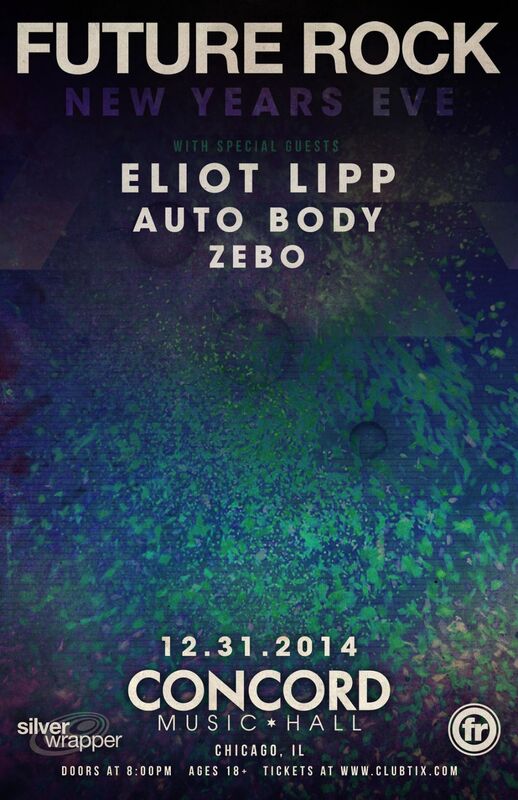 Silver Wrapper presents Future Rock with special guests Eliot Lipp, Auto Body and Zebo to ring in the New Year (2015) at Concord Music Hall in Chicago, IL on Wednesday, December 31, 2014. Chicago’s electronic rock stalwarts Future Rock continue to pound out pulsating beats with the verocity of a 70's era rock band. FR is known for energizing any dance floor, forcing even the palest and most resolutely hard-to-impress hipsters to call up their inner dance monsters. Having taking the fall off from touring to complete a new album, expect to hear some new music from the band this NYE night. The billed is packed with incredible support and music throughout the evening as PLM artist Eliot Lipp brings his signature blend of 80’s synthpop jams, jazzy funk, hiphop and electro, with Austin-based indie-electro outfit Auto Body and Chicago's own Zebo, who will be performing a nu-disco/house set, rounding out the bill. Doors at 8:00 pm. Ages 18+ welcome. In addition to the previously announced Future Rock set at this year’s North Coast Music Festival, the band will also be playing an Official After Party at the House of Blues in Chicago the evening of Friday, August 29, 2014 reuniting with Orchard Lounge. Grab tickets at www.clubtix.com/northcoastfest. Doors at 10PM. Ages 18+. Future Rock excited to announce a performance at Suwannee Hulaween, taking place October 31 to November 2, 2014 in Live Oak, FL. The event is hosted by The String Cheese Incident over Halloween weekend at the absolutely beautiful Spirit of the Suwannee Music Park in Live Oak, FL. Already announced electronic heavy hitters Thievery Corporation and Big Gigantic are in an eclectic variety of artists from bluegrass and Americana to organic electronic and experimental rock. Future Rock will perform two sets at the fifth annual The Werk Out Music & Arts Festival taking place August 7-9,2014 at Legend Valley Music Center in Thornville, OH. The festival brings awareness to musical styles that are the backbone of the vibrant music scene in the Midwest. It serves as showcase in a shared playground between artist and participant and draws people from all across the United States. The festival is the product of the band, The Werks, and Trickle Productions. Other acts on the bill include Papadosio, Emancipator, Crizzly, Zoogma, Dopapod and many more. 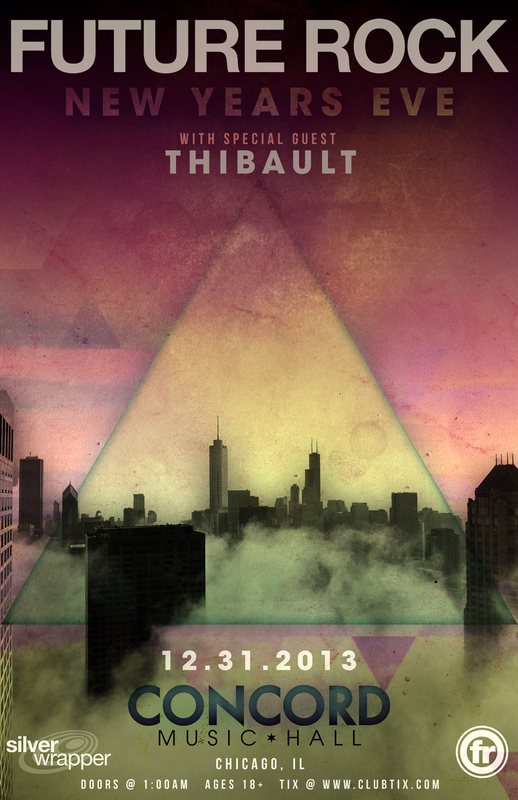 Tickets are available online now through and visit the official festival web site at www.thewerkoutfestival.com. 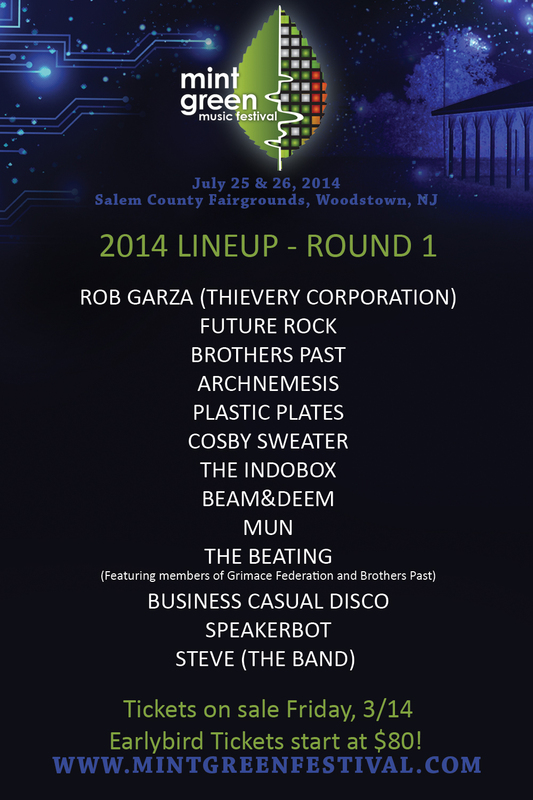 Future Rock will perform at the second annual Mint Green Music Festival taking place July 25-26,2014 at Salem County Fairgrounds in Woodstown, NJ. The festival will feature music on four stages and Philadelphia's most talented artists, builders, performers, and dreamers bring you live art, installations, workshops, acrobatics and more! Other acts on the bill include Rob Garza (Thievery Corporation), Brothers Past, Archnemesis, Cosby Sweater and more. Tickets are available online now through and visit the official festival web site at www.mintgreenfestival.com. Future Rock announces April 2014 Tour dates in Mid-Atlantic and Southeast! Future Rock announces April 2014 Tour Dates with returns to the Mid-Atlantic and Southeast regions of the US. The tour, which is presented by The Untz, begins in Baltimore MD on 4/10, then hits Philadelphia PA on 4/11 and Richmond VA on 4/12 as rescheduled shows. It then works it way south for long awaited returns to Charleston SC on 4/16, Asheville NC on 4/17, and Atlanta GA on 4/18 before closing in Charlotte NC on 4/19. These shows will feature a wide variety of openers each night, as Atlanta based producer Up Until Now, funk fusion band Kung Fu, new Grimace Federation / Brothers Past project The Beating, upstate NY based The Manhattan Project, and Philly DJ duo Risky Disko all join in on the fun. As always, tickets can be purchased through the Future Rock Fan Ticket Center at futurerock.clubtix.com! With 2013 coming to a close and the holiday season upon us, Future Rock would like to say THANK YOU for an incredible year. As our gift to you, Future Rock announces the release of a live recording that occurred in the bliss of Suwannee Hulaween 2013. The release, entitled Suwannee Hulaween 11.02.2013, is available as a FREE DOWNLOAD and features one new track, Majestic, which will be released as part of a new album next year. Due to a family emergency, this week's Future Rock shows in Richmond VA (12/11), Philadelphia PA (12/12), Brooklyn NY (12/13) and Syracuse NY (12/14) are CANCELLED. Attempts are being made to re-schedule the shows as soon as possible. If desired, full refunds are available at place of purchase. If not, enjoy our good friends, Cosby Sweater, as they will still play the shows. Future Rock regrets any inconvenience this may cause and thanks you for your understanding. At long last, Future Rock is excited to announce our return to the West Coast! Future Rock will play the Joshua Tree Music Festival outside of Los Angeles, CA during May 15 to May 18, 2014. Initial Lineup and Early Bird tickets are out. Check it at www.joshuatreemusicfestival.com.